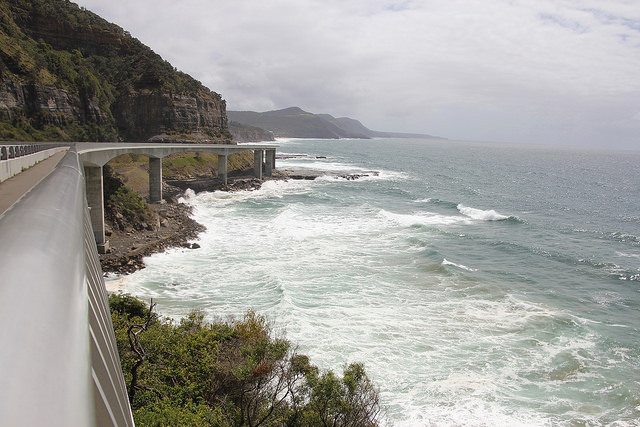 Scenic drives … Australia has numerous scenic drives, no matter which region you visit. It would be very odd not to find one around Sydney! The Grand Pacific Drive is not the most beautiful scenic drive of all possible drives, but it is definitely worth driving this road rather than the highway. It would only take you about 2 hours to drive the 140 km, but it is off course much more fun to stop here and there and enjoy the scenery. The Drive starts just south of Sydney, and takes you right away to the Royal National Park. Although we have driven the GPD twice, we haven’t visit the Royal NP yet. Perhaps next time … The Sea Cliff Bridge is the next sight. It is literally a bridge built next to the cliffs. It is quite long, about 665 meter. There is a parking lot in Coalcliff, within walking distance from the bridge. However, we found it very insecure. You’d better park just before the bridge in a bay. Nice photo opportunities! From the bridge the road follows the coastline and offers magnificent views. The next big town is Wollongong. Flagstaff Hill must be the most touristic place around here, which is ok, but not the nicest place around. We found the beaches just before town a delight, especially when we saw dolphins playing in the brakes! A good food spot (we’ve been there twice) is Fedora Pasta: fresh Italian pasta, but you’ll need an oven to heat your food. We stayed in Towradgi, also just before Wollongong. A nice stop, which is not in the books, is Hill 60 in Port Kembla. The town is not at all worth sightseeing, but the views from Hill 60 are. 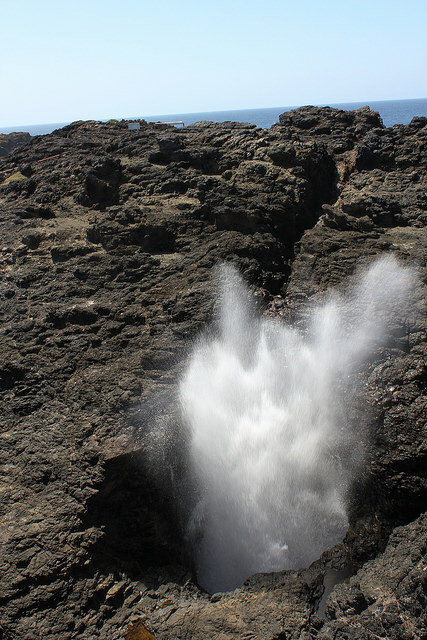 Not only can you see paragliders in action, but the pelicans love this place as well! And so we got to love it too. has a very nice bay and beach. And the bakery in town serves delicious pastries! Here, the Grand Pacific Drive ends. Or begins. Actually we’ve driven the Drive twice from south to north. Doesn’t really matter, the track stays beautiful! The beauty doesn’t stop across the border. The road takes you through forests and along national parks, with just as many possibilities to stop and explore. A place to subside from all this is Lakes Entrance. It’s a small coastal town, with a beautiful stretch of beach, which is reached via a bridge crossing the river. That river flows into the lake, which is protected from the power of the ocean by a spit of land, and only at one point accessible for boats. The sunset is amazing! 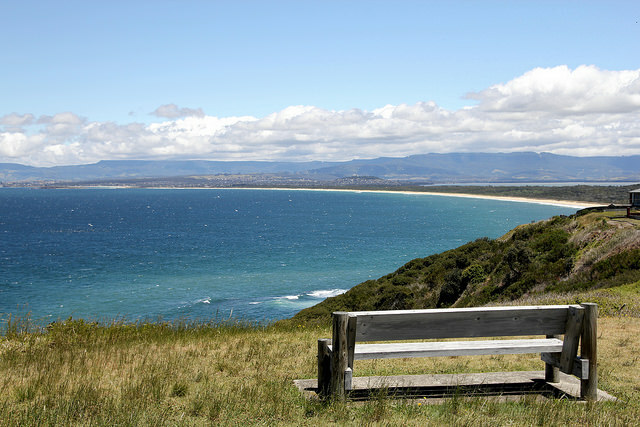 Lakes Entrance is actually at the south (or north) of Gippsland Lakes Coastal Park. Discovering this park is a must, the abundance of wildlife and the peaceful environment make it a perfect spot to it back and relax. Seacliff Bridge from Travel for Motion on Vimeo.